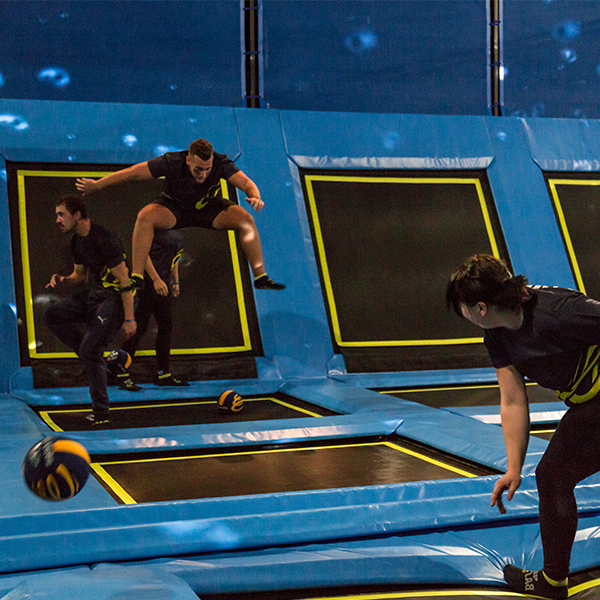 WELCOME TO THE LATEST TRAMPOLINE-, PARCOUR- AND ACTION-PARK! No matter if large or small, old or young, – there’s the chance for everyone to have fun in our 3.000m² Park! 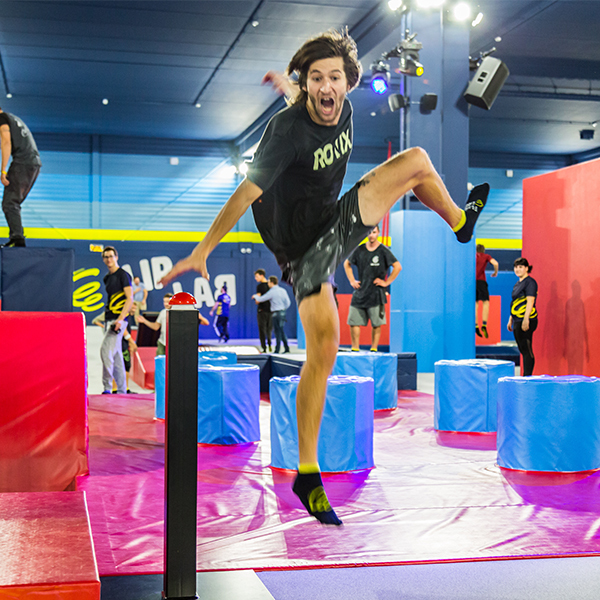 High Performance-, Freestyle-, Bungee-, Wall Walk- and for the first time Interactive-Trampoline, Action Zone, Dodgeballfield, Air Bags, Basketball-Trampolin-Area, Base Ninja Parcour, Slackline, BattleBeam, Aerial Silk and much more is waiting for you at FLIP LAB Zurich! 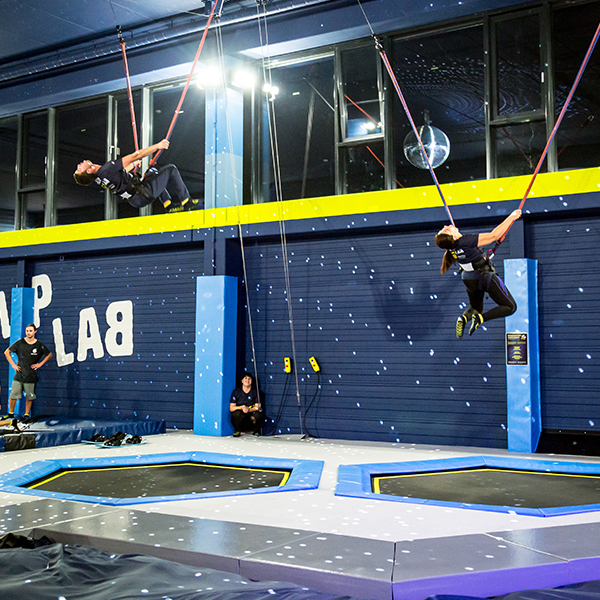 A world without gravity is only as good as its customer service and its consulting through a trained and capable team – we are offering both at FLIP LAB Zurich. For children under the age of 7 years, an accompanying person must be in the park – this person is free of charge. 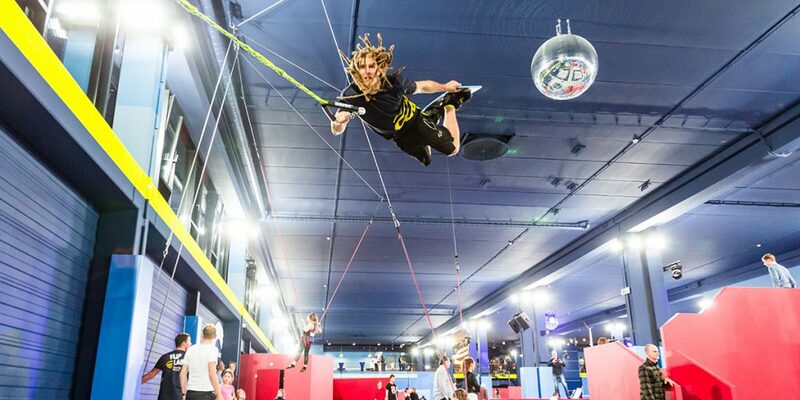 The FlipBoards, FlipSkis and bungees can be booked for 5,00 CHF on-site. Buy your own FlipSocks for 2,50 CHF (must be worn in the park). Together we jump into your new year of age. 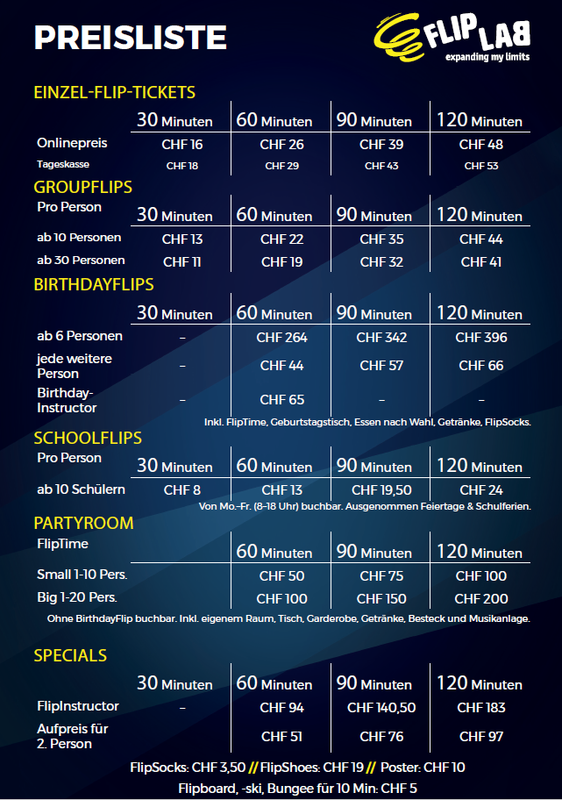 Celebrate your birthday at FLIP LAB Zürich! After your FLipTime in our park, a birthday table with food and beverages is waiting for you and your friends. The FlipSocks are included as well. Come across to us with your whole school class and benefit from the special schoolprices. 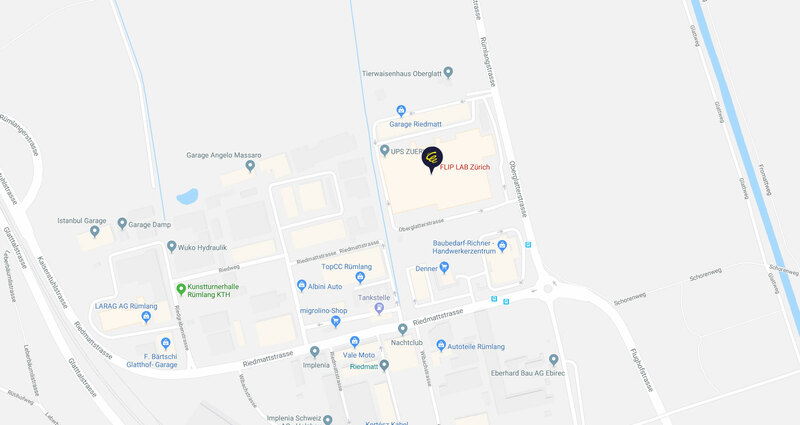 SchoolFlips are available the whole week from monday to friday all day long (also forenoon). You are planning a trip with your friends or your sports club with at least 10 persons? 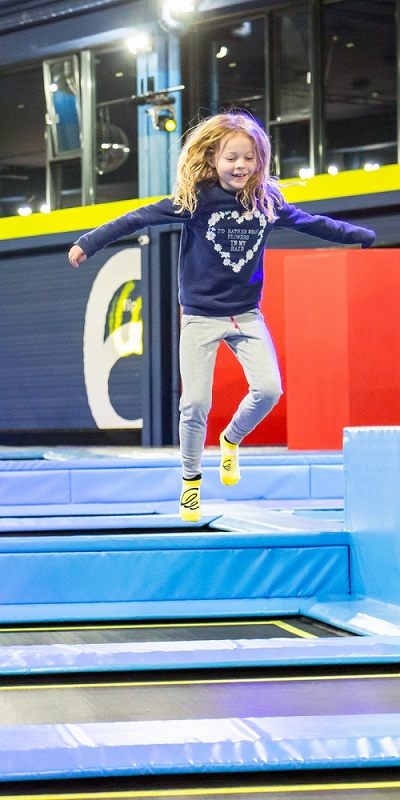 Then visit our Trampoline-, Parcour- and Action-Park and enjoy special group prices! 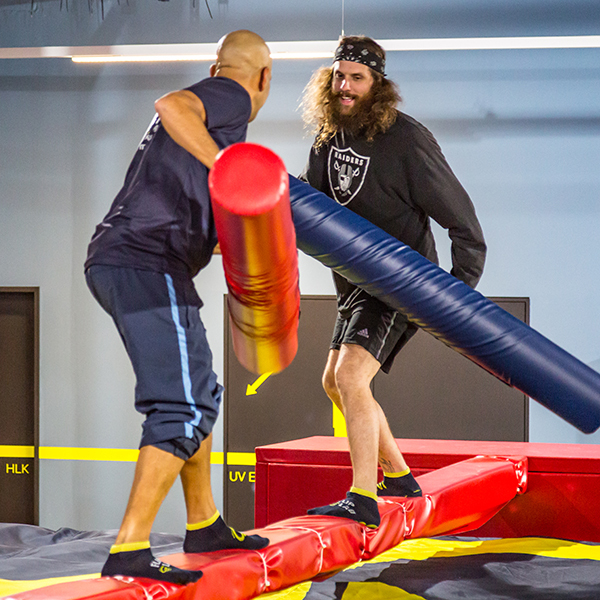 Jumping and laughing together encourages not only fitness, but also team spirit and motivation. The perfect team excursion! For important conversations, we also offer our meeting rooms. KIDS FLIP IN THE DARK! Kids* Disco with nice beats and light action – Flip tae Rhythm. Only 5 minutes from Rümlang train station and 17 minutes from Zurich airport! 2:00 p.m. – 09:00 p.m.
For school classes as well as large groups we also open in the morning during the week. You don’t want just to stand aside and watch the jumpers? You have helpful tips that you love to pass on for which you should be also rewarded by us? Then you are right here! 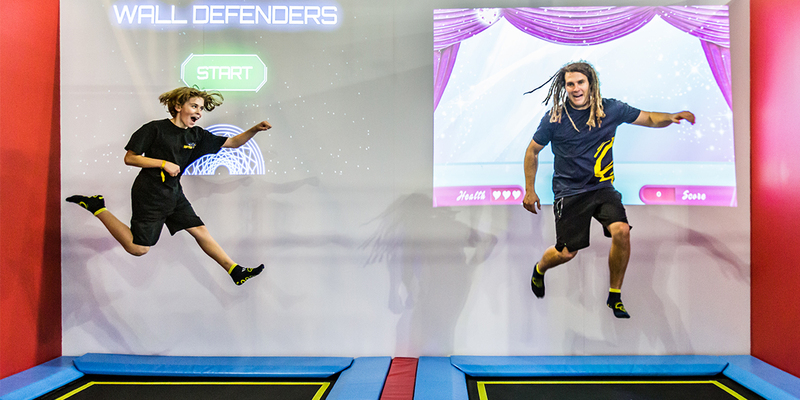 We are always looking for qualified staff for first-class service in our Trampoline-, Parcour- and Action-Park. Jump up and browse through our job offers.